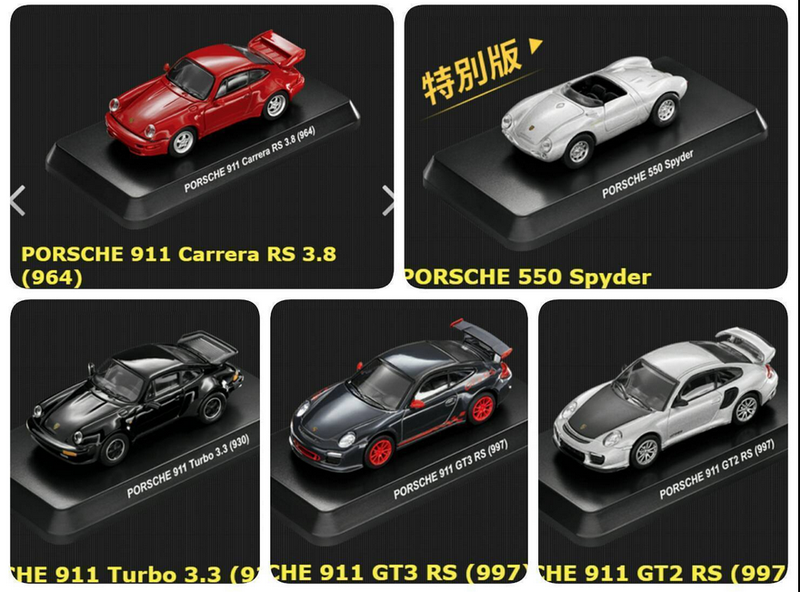 A new 10 car Porsche series in 1/64 exclusive to Taiwanese 7Eleven stores. The models are branded as Kyoshos, but manufacture was apparently farmed out to a company called PaoFeng. They’ve previously done the Kyosho Mini Cooper series as well. Good luck tracking these down if you’re up for it!